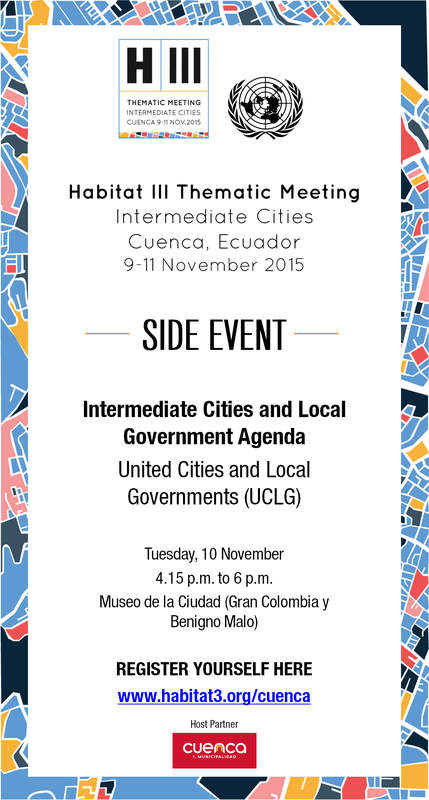 The city of Cuenca, Ecuador, will host a Thematic Meeting entitled Intermediate Cities from 9-11 November, 2015, as part of the preparatory events for Habitat-III, the United Nations Conference on Housing and Sustainable Urban Development to be held in Quito from 17-20 October 2016. A side event entitled Intermediate Cities and Local Government Agenda will take place on 10 November, 2015 from 16h15 to 18h00 in the Museo de la Ciudad in Cuenca, Equador. 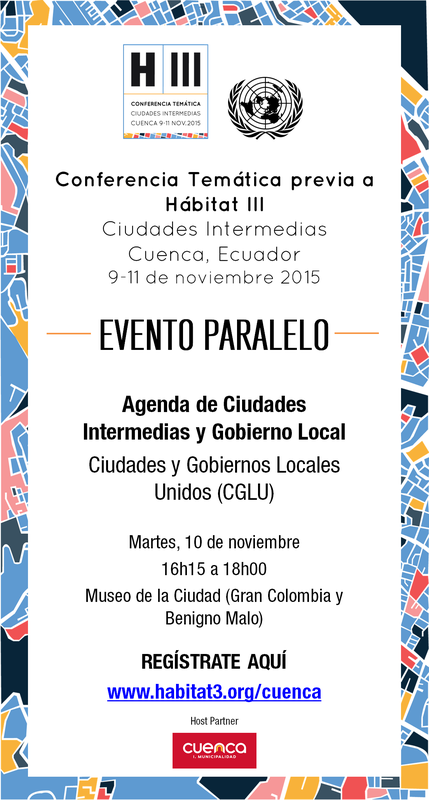 Use the hashtags #Habitat3 and #H3Cuenca to promote the event in social media channels. For all logistical and technical information related to the event please contact: infoh3cuenca@gmail.com. All other questions and quieres should be directed to the Habit III Secretary: habitat3ecuador@un.org. We look forward to welcoming you to Cuenca and participating in working towards a new Urban Agenda!